We offer our clients only top of the line products. Working with the best printers in Mexico and with a worldwide-known list of clients, our experience in the printing business, speaks for our success. Every day we are searching for the latest technology, so we can continue offering our clients the best quality, price and delivery times. 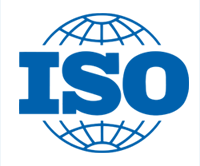 Thanks to our consistency in quality we count with certifications like, ISO 9001 / 9002.
International Organization for Standardization is the world’s largest developer of voluntary International Standards. International Standards give state of the art specifications for products, services and good practice, helping to make industry more efficient and effective. Developed through global consensus, they help to break down barriers to international trade. ISO 9001 / 9002 Models for quality assurance in production,installation and servicing.